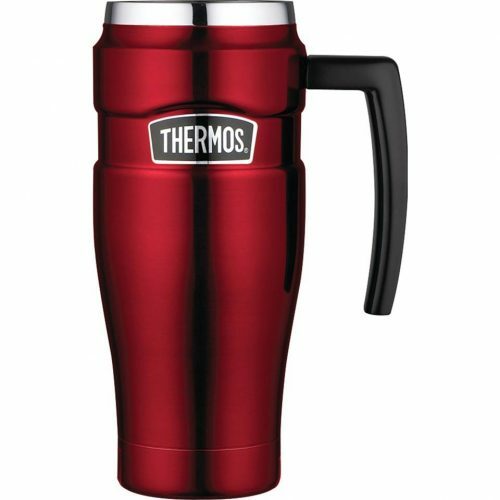 Thermos Travel Mug for only US$22.11! Technology matters: THERMOS vacuum insulation technology keeps hot things hot and cold things cold by creating an airless space between two walls, virtually eliminating the convection process and temperature change. The Mug keeps liquids hot for 5 hours and cold for 9 hours and it’s HK$178 only! !